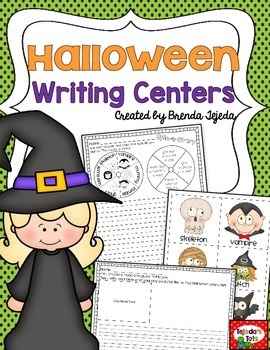 Fun writing centers for Halloween! 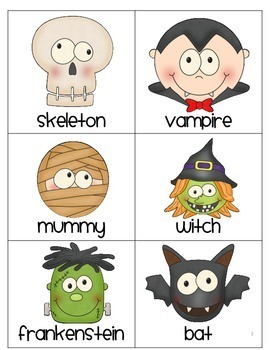 Now includes 2 line options for K-1, and 2-3. 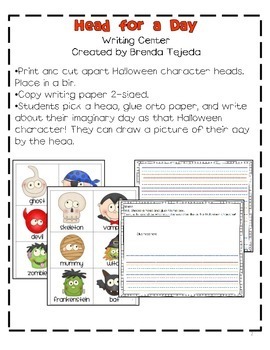 -"Head for a Day" Students pick a Halloween character and write about their imaginary day as that character. 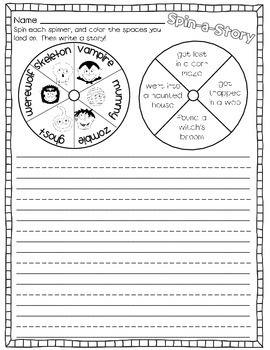 -"Spin-a-Story" Students spin to choose a character and story line for a Halloween story inspiration. -"Sort & Build a Sentence" Students sort candy corn pieces into noun, verb and adjective jars, then choose one from each to write sentences. Check out my Halloween Mega-Pack!